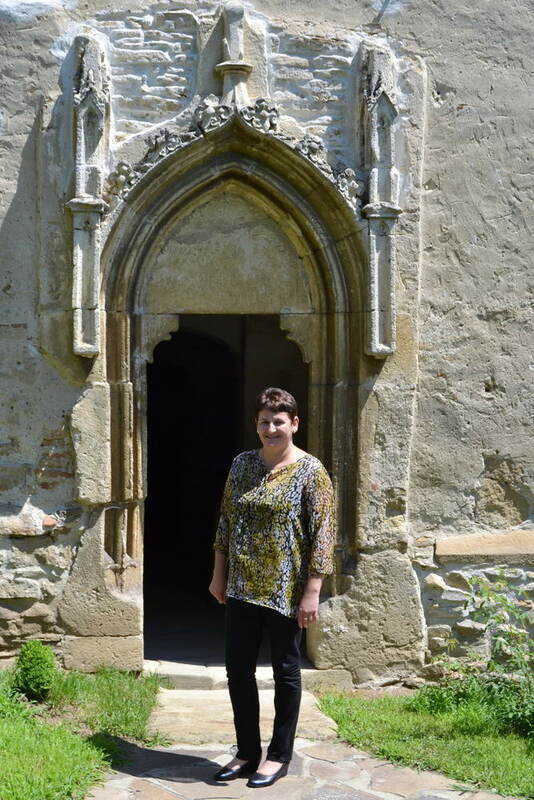 Teacher Dana Crişan has not been on holiday for three years, the restless keeper of Kirtsch values the peace in her fortified church very much. Her family is also involved – from ringing the bell to mowing the lawn. At the same time, she keeps a watchful eye on the molehills inside the ring wall and on everything that happens in and around Kirtsch. Dear Mrs. Crişan, you are the keeper of the Fortified Church of Kirtsch. What do you associate with this place and how did you come to your task? 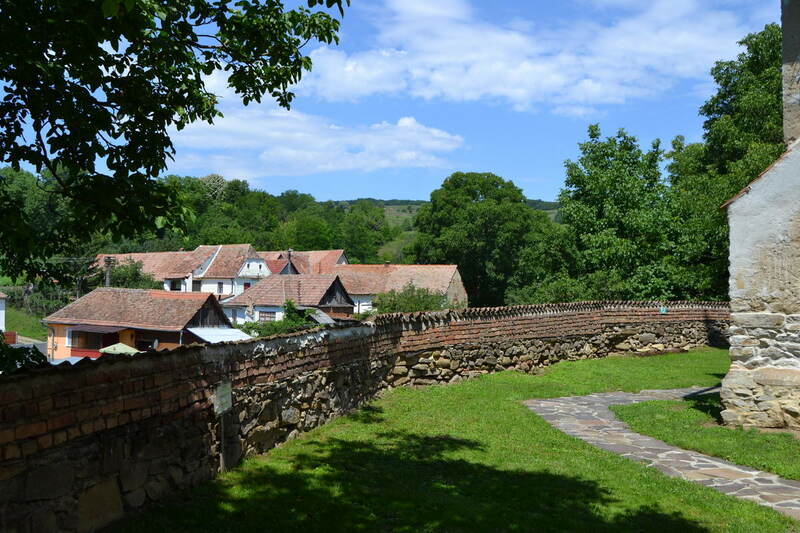 I was born here – on 27 February 1976 – and I think the connection to the fortified church is simply that I grew up among the Saxons. I learned a lot from them and not only about them – because I also speak Saxon. My job: I deal with the tourists. In summer, when they want to visit the fortified churches, I’m always here. And I am looking forward to these visits, because it gives me a lot of pleasure to welcome the people. I also like my job very much because I can use my foreign languages, English and German, all day long. What is your connection to the Church? I’m orthodox. But my strong connection comes from faith. When I was ten years old, my father died and I had to be independent from an early age. It’s not easy suddenly getting along without a father at this age. Here is a place where I find peace and I have the privilege of being here every day. Not only on Sundays. I am orthodox, but what I like about the Lutheran faith is that you become free through your faith. I really like this idea. And everything is simpler, more accessible here. And this Fortified Church is simply a special place – because everyone carries something in their heart that they can only be discussed with God in peace, and that goes well in such a place. How does the relationship of the people of Kirtsch, or the non-Saxons, to the fortified church look today? 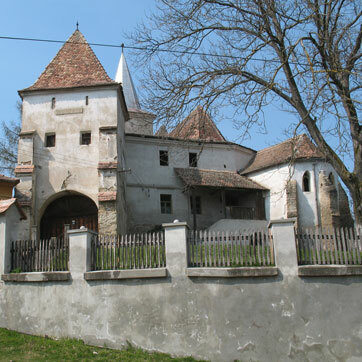 Many people ask what is happening in the Fortified Church and are proud that many tourists and strangers visit our village. And not only that – the villagers are also happy that Mr. Alischer rings the bells when thunderstorms come. The old people who have gardens always say: “What luck! The hail does not come because the Saxon bells are ringing.” So, we hear the bells every day – in the morning, in the evening, and when thunderstorms come. And we also ring the bells at funerals. When a woman originally from Kirtsch, died recently in the USA, her daughter asked me to ring the bells. And I sent her the recording. There is a strong desire of the people that such a thing is done in the homeland. In America it is eight hours later – and here we met and rang at nine o’clock in the evening. I think the connection between the church and the people of Kirtsch is not only because many tourists and strangers come to the village, but also because they know that it is important that the bells ring. There is already a lot of respect for the Saxons. The Romanians and the Saxons always got on well here – there were no conflicts between them. And the current villagers always say that it was nicer when the Saxons were still there. 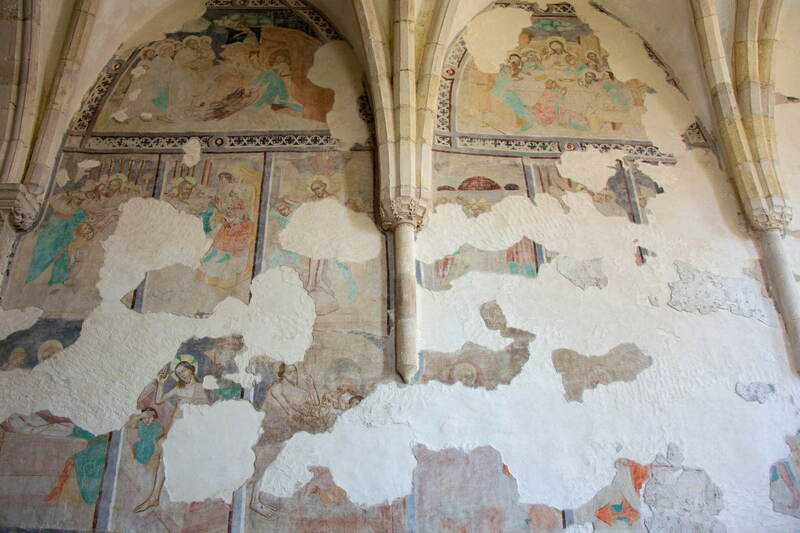 Do you have the opportunity to introduce children and young people to the cultural heritage of the Fortified Churches through your work as a teacher? Yes, during the week “„Şcoala altfel”, I was here twice with the children from the school and presented them the history of the church. Many of the children said that they did not know that the church from their village is so important and were enthusiastic. But I think you must do it several times, not just once a year. Maybe one could make drawings or other projects. About three years ago we sent drawings of Fortified Churches to Sibiu for a competition. And as a teacher, I think we need to tell the children more about what we have experienced here in this place. About the story, which is also the story of these children. Someone who has experienced this must pass it on to them. For example, my mother worked at the post office – all day long I helped to distribute the newspapers. When I passed by the Saxons, everyone would always speak to me in Saxon. I still remember well: After the fall of the communist government, the Saxons began to emigrate from Kirtsch. But I was little, and I didn’t understand why they were happy. When I came with the mail, they would always ask, “Did you bring us anything? The RU number! The RU number!” Why were people so happy? What kind of letter were they waiting for? My mother told me that they could emigrate to Germany with this letter. These are things that need to be told. Would you say that your commitment is also something like a tribute to the coexistence of Saxons and Romanians in the village? Absolutely. The experience inscribes itself in one’s mind, it remains. If you were born here and experienced it all, then you can’t forget it. The language and the neighbours – everything. And I had many opportunities to leave the village, but I didn’t want to. I like it here. I want to stay. Did a lot of people come here? Most of them are Romanians who bought the houses from the Saxons. After the revolution, the houses could be sold. But those who left before the revolution had to leave the houses to the state. And there are also three families – Saxons – who have not sold the houses. These are our so-called summer-Saxons. They come here and stay all summer. Who comes to visit Kirtsch? Most tourists come from Germany, but also from Romania. Many students who admire the architecture. But when I look at the statistics – I have a booklet in which I record all tourists – I have also experienced surprises. I have had visitors from Australia, South Africa, Sweden, France. When I think about what a small village Kirtsch is – that it is often not on the map. And yet tourists from all over the world come here to visit it – this shows how important and valuable the church is. And most of them tell me how surprised they are. They like what they find here and that makes me happy. What questions do Kirtsch visitors ask you most often? Most people ask me about the year of construction of the Fortified Church, another part of the visitors ask how the Romanians and Saxons got along and why the Saxons emigrated to Germany. I always answer: Maybe for freedom, for a better life, because it was not easy in communism and they wanted a better life. And many who had relatives there have heard from those who have already emigrated that it is easier abroad. That there is freedom, and then they are gone. It is always said that they should have stayed. I can’t fully answer why they’re gone – everyone had a reason. But it’s a pity. They built very nice houses here and were well-known, had the most beautiful animals in the stable and were very diligent. And the Saxon community was a strong community: everyone knew about everyone. When someone was born, about relatives, etc. 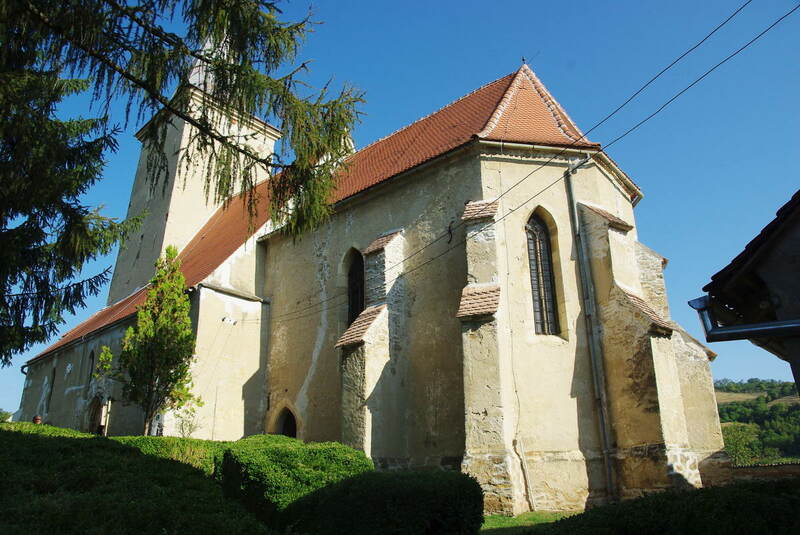 It is also impressive for many visitors that the Fortified Church was not only a place to pray, but also a place where the Saxons protected themselves and their community from the attacks of the Turks and Tartars. What was your experience with your first group of visitors? It wasn’t easy because I didn’t know what they expected from me. I wanted to do my job very well and was initially worried that questions would be asked to which I did not know the answer. I always have to keep up to date, read to complete my picture and my knowledge. At the beginning I was a bit afraid, but after three laps everything was fine. There are simply tourists who are very interested in architecture, but a guide must also feel what the tourists are like. What you would like to have the guide must give you. During your time as Church Fortress keeper you meet the different people. Was there an event that particularly impressed you? Much was special. And a few weeks ago, something special happened. Martin Rill was here only once with his wife – right at the beginning of my work here. That was sometime in spring and I just cleaned up here – that is, we only met once. And about a month ago I received an invitation to a book presentation in Bogeschdorf. I was very happy about this, especially since I also received a book as a present containing information about 36 villages in Transylvania. Soon I will be able to give the visitors information about the altar in Bogeschdorf, which is very valuable. Where do you see the Fortified Church in ten years? What developments would you like to see? I wish there were more tourists in ten years. That this will become a place, a quiet place where they feel comfortable and get a lot of information about all of Transylvania. Maybe the organ could be repaired, and concerts could be held here. You could also do something with the empty organist’s flat. Perhaps create a place where visitors can linger a little, where they can relax a little and feel the silence of the Fortified Church. In my opinion, the most important thing is that tourists feel that they are well cared for. So, I try to keep it that way – that I create a place where you can feel comfortable. That everything is neat and tidy – that is what we have to show to the outside world. Of course, you have to develop things further and always keep moving, be open to new things. Nothing needs to be changed from the ground up – the old must be preserved, but efforts should be made to expand the existing offers. And so, it will continue – so that the children of the Saxons, who have gone away, can also see what is here. This treasury must be preserved. Has there been an event in Kirtsch recently that you remember in particular? On September 10, 2017 a service took place here and my husband said to me: “Listen, the soundscape reminds me the noises when the Saxons were still there”. There were about 70 people here for this service – and I could see everything from my yard, which borders the church. This has changed the atmosphere a lot, there hasn’t been such an atmosphere for three years. And I really wanted to attend the service – I didn’t want to miss this opportunity. I really like what I do here: In summer it is very different here – of course the winter is beautiful here, and only spring! I have no words for it, it’s so beautiful. I wish everyone who comes here to feel what I feel. Maybe not all people feel that way. But I’m a very happy person because I can see all this every day. And when I go to church, I always have my own prayer. I am orthodox – but I don’t think it matters what religion you have. And when I go to church, it’s with an overcrowded heart. I found my strength in this church. ← Things are moving forward in the village of Movile! To which of the seven chairs belonged to the free parish of Kirtsch? After our draw the winner will receive a church castle memory. Please send your submissions by 31 July to ab@kirchenburgen.org. Congratulations! Martin Buchholz answered correctly to our riddle. The community of Kirtsch belonged to chairs of medias.